Every year, humpback whales make long migrations from their preferred cold feeding grounds to warmer tropical waters to breed and give birth. Even though many large species of whales migrate, migratory patterns are so varied from species to species and even from males to females, that tracking the ancient origins of these migrations can prove challenging. It’s been suggested that whales started traveling long-distances around five million years ago, but the specifics of ancient whale migration have remained unclear. 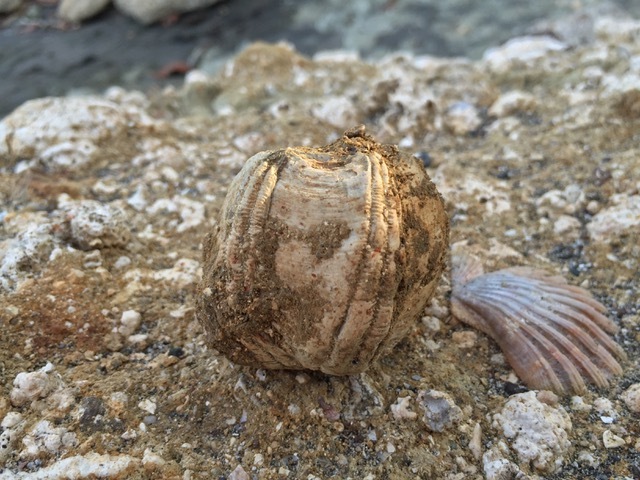 Researchers from the Smithsonian Tropical Research Institute and the University of California, Berkeley decided to tackle ancient whale migration, not by looking at ancient whale fossils as one would expect, but also by focusing on the fossils of ancient whale barnacles. “Instead of looking for clues to migration patterns from the whale’s bones, we used hitch-hiking whale barnacles instead,” said Larry Taylor, the leader of the study, which was published in the Proceedings of the National Academy of Sciences. 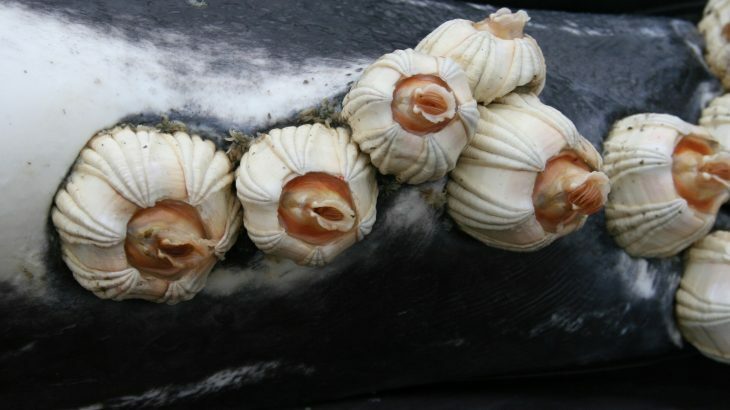 Whale barnacles are crustaceans that attach themselves to whales by sucking in the whale’s skin. This relationship doesn’t seem to serve any advantage for the whale, but for the barnacle, life attached to a whale provides easy access to nutrient-rich waters as the whale slowly meanders through the ocean. For this study, the researchers examined barnacle fossils and modern whale barnacles to analyze isotope signatures. Because barnacles are crustaceans, their shells take in oxygen isotopes from the water throughout a barnacle’s lifespan. These isotopes allow the researchers to age the barnacles and estimate where the barnacle has traveled in its life. The study helps provide a more detailed picture of ancient whale migrations, and the researchers plan to continue tracking whale migrations using whale barnacle fossils. “Hunting for fossil whale barnacles is easier than whales, and they provide a wealth of information waiting to be uncovered,” said Seth Finnegan, a co-author of the study.